Ken “Mr. 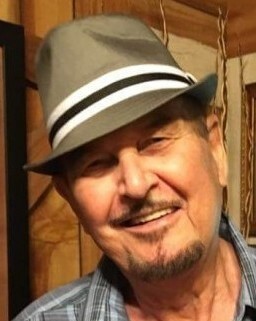 Cool” Altman, 77, passed away Thursday, July 26, 2018 in Amarillo. Funeral services will be held 2:00 p.m. Monday, July 30, 2018 at Schooler Funeral Home, Brentwood Chapel. Burial will follow in Memorial Park Cemetery. Arrangements are by Schooler Funeral Home, 4100 S. Georgia St.
Ken was born January 15, 1941 in Amarillo to Brooks and Joyce Altman. He fought the good fight and was loved by all who knew him. Ken is survived by his wife, Virginia; two daughters, Kimber Altman of Amarillo and Kristi Altman of Lubbock; two sons, Kenneth D. Altman of Jefferson and Andy Harmon of McKinney; nine grandchildren and two great-grandchildren.